The simple answer is “when it’s cold outside bees cluster in the hive and shiver together in a convective bee ball to keep warm”. A comprehensive answer to the question would take multiple textbooks and probably a masters in entomology so let’s settle for the amount of understanding that can be expressed in a few paragraphs. In the fall the queen stops laying eggs. The eggs which were laid shortly before this time will become the bees whose job it is to survive the winter. The bees that do successfully overwinter will care for the eggs the queen begins to lay the following spring. When the temperature in the hive drops low enough that the bees need to warm themselves they cluster in one part of the hive and shiver. If an individual bees’ temperature gets too low she’ll move in towards the centre of the cluster. As the bees deplete the honey stores in that part of the hive the cluster will move to consume adjacent stores. Check out the Los Altos Honey Bees Blog; although he’s located in California he does take cool thermal images of his “overwintering” hives. The bees will break their cluster during the winter if the weather is warm enough for them to go on a cleansing flight. 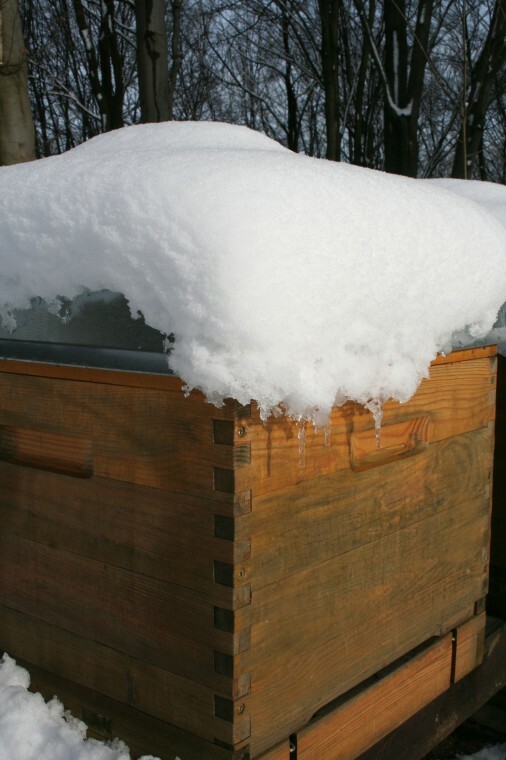 Sit in front of a hive on a sunny warm January afternoon and watch the number of bees that will fly out to dispose of their waste; it can render the white patch of snow in front of a hive speckled with bee poop. By evening, however, it’s guaranteed that the bees will be back into their cluster formation to survive the night. 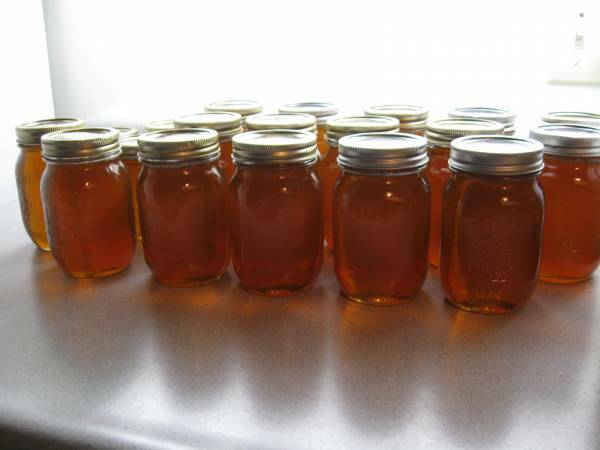 How a beekeeper prepares his bees for the winter is critical and the number of ways it can be done is only limited by the number of beekeepers doing it (see n+1 ideas). My research on the subject has led me to believe that it’s isn’t so much low temperatures that kill a hive (as bees can generate their own heat) but condensation and moisture buildup within the hive that cause lethal havoc with the bees ability to thermoregulate. When building a human house a construction crew needs to understand how differences in temperature can cause condensation and how to place the insulation, vapour barriers and ventaliation holes to ensure that there isn’t a buildup of water that will lead to structural damage and/or a mould hazard. The same is true for bee hives. Insulate them incorrectly with too little ventilation and you’ll end up with with either damp bees or dead bees and the possibility of mouldy comb. Insulation placed in the wrong place can capture condensation and become a sponge which traps moisture and makes it almost impossible for the bees to provide enough air flow to dry it out. The inside of a bee hive can end up looking like a freezer that needs to be defrosted if there isn’t sufficient airflow to keep the place dry. One beekeeper I’ve had the pleasure to meet, Mahmoud, has solved his overwintering problems by having his bees spend their winter in a climate controlled dark room (called the BeeDome) that he monitors with embedded sensors; he can check the room’s environmental levels while sitting in his office (he’s an engineer by day). This kind of setup is likely beyond most beekeepers finanical and technical capabilities so it’s reasurring to know that bees can survive in a hive left outdoors. This entry was posted on March 25, 2014 by beewhispers in Bee Research, Bee Trivia and tagged apis mellifera, Beehive, Beekeepers, Beekeeping, Honey bee, Honeybee, overwintering, winter.